Citrus extract formula emulsifies oil, grease, fuel and transmission fluid. 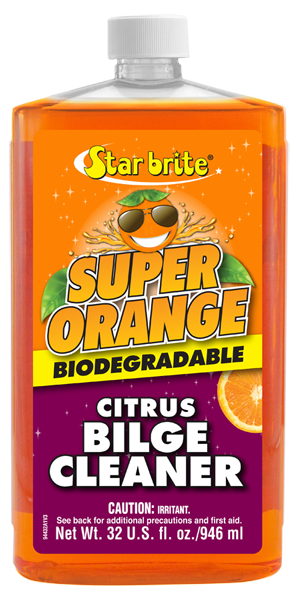 Powerful yet biodegradable formula. Will not harm fiberglass, metal, plastic. 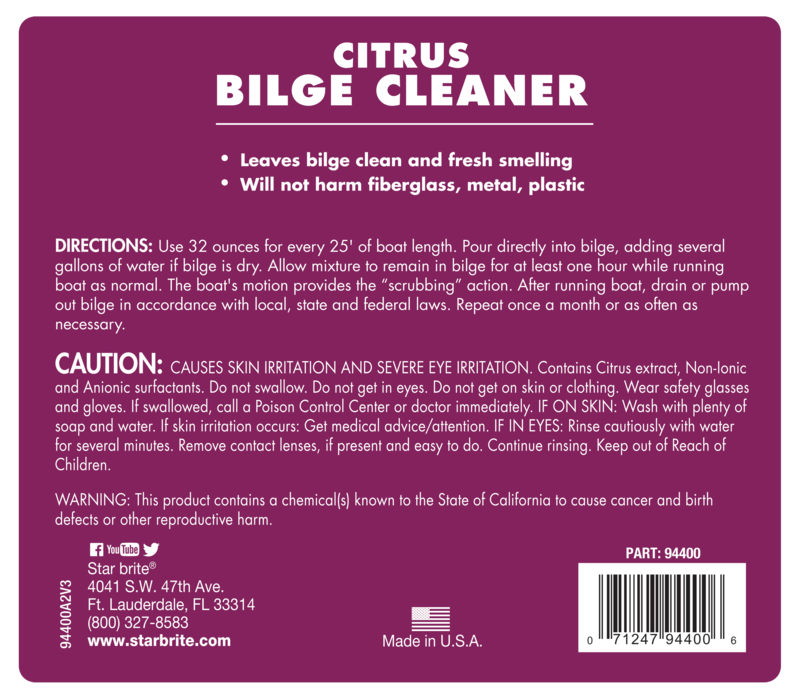 Leaves a fresh citrus smell in bilge. DIRECTIONS: Use 32 ounces for every 25' of boat length. 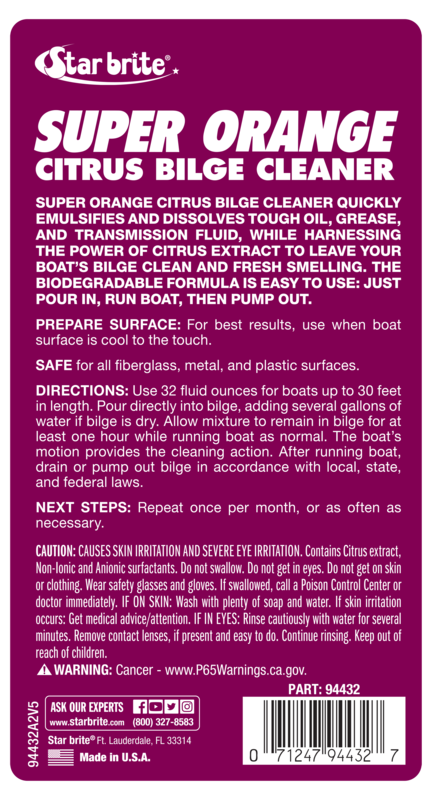 Pour directly into bilge, adding several gallons of water if bilge is dry. Allow mixture to remain in bilge for at least one hour while running boat as normal. The boat's motion provides the "scrubbing" action. After running boat, drain or pump out bilge in accordance with local, state and federal laws. Repeat once a month or as often as necessary.